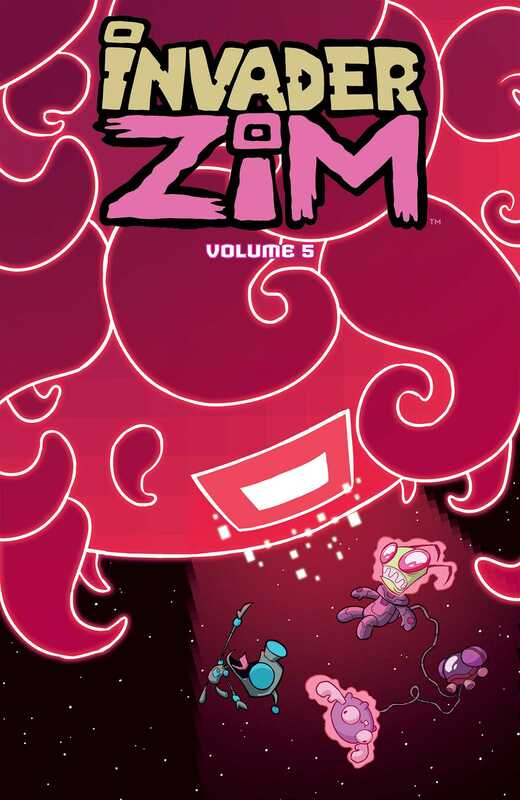 ZIM's latest doomsday plot is foiled when GIR goes haywire and tries to kill everyone in sight! (But especially ZIM. He kinda deserves it.) Diagnostics reveal that the malfunction is due to a virus, forcing ZIM to do the one thing he never thought he'd have to—GO INSIDE GIR'S BRAIN. Where nothing works and everything is exactly at GIR's level of nonsense. And when ZIM discovers that the virus was created and implanted by a being known only as VIROOZ from the planet Cyberflox... well hey, let's not give away too much, alright? Just read this special 4-part story with bonus guest issue from Dave Crosland! Eric Trueheart was one of the original writers on the Invader ZIM television series back when there was a thing called “television.” Since then, he’s made a living writing moderately-inappropriate things for people who make entertainment for children, including Dreamworks Animation, Cartoon Network, Disney TV, PBS, Hasbro and others. Upon reading this list, he now thinks he maybe should have become a dentist, and he hates teeth. Dave Crosland was born in Buffalo, NY and fought his way through the baneful hordes to adulthood in Los Angeles, CA. He’s created art for comics, cartoons, concert posters, video games and more. Along with Invader ZIM, his memorable projects include Randy Cunningham: 9th Grade Ninja, Scarface: Scarred for Life, Everybody’s DEAD, Yo Gabba Gabba and his autobio comic EGO REHAB. When he isn’t drinking rum from the skulls of his foes, Dave can be found hoarding pets and eating all your peanut butter. Warren Wucinich is an illustrator, colorist and part-time carny currently living in Durham, NC. When not making comics he can usually be found watching old Twilight Zone episodes and eating large amounts of pie. Fred C. Stresing is a colorist, artist, writer, and letterer for a variety of comics. You may recognize his work from Invader ZIM. He has been making comics his whole life, from the age of six. He has gotten much better since then. He currently resides in Savannah, Georgia with his wife and 2 cats. He doesn’t know how the cats got there, they are not his.